The Story: During an adventure into the criminal underworld, Han Solo meets his future copilot Chewbacca and encounters Lando Calrissian years before joining the Rebellion. Filling in gaps of history within the Star Wars canon will always be a tricky process mainly because the characters we love are so iconic and the reason we love them is because they are so iconic and identifiable. When Alden Ehrenreich was first cast as Han Solo, I was immediately skeptical because, to me, he didn't resemble Han Solo in any way other than being a white male with relatively similar features. His mannerisms and speech are nothing like Harrison Ford and he just does not have the same screen presence although, to be fair, no one on the planet even comes close. As I sat down to watch the movie, I chose to set aside all of that stuff so I could just enjoy a Star Wars movie on the big screen and that definitely worked to the movie's benefit. With all the big action, special effects, and planet hopping adventure, this was definitely one of the most high energy Star Wars movies you will find. 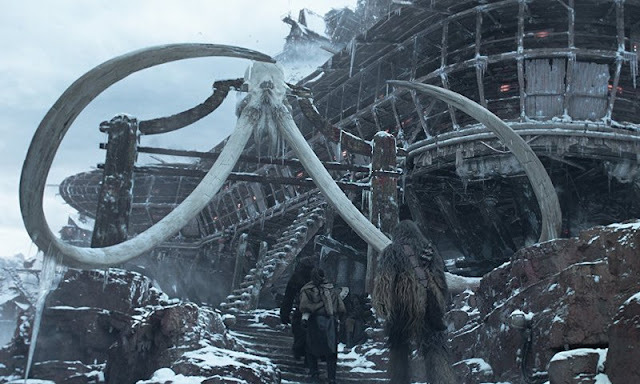 Ron Howard keeps things moving along at a very quick pace and fills the film with an endless supply of nods to both the past and the future of what we have seen from the galaxy far, far away. 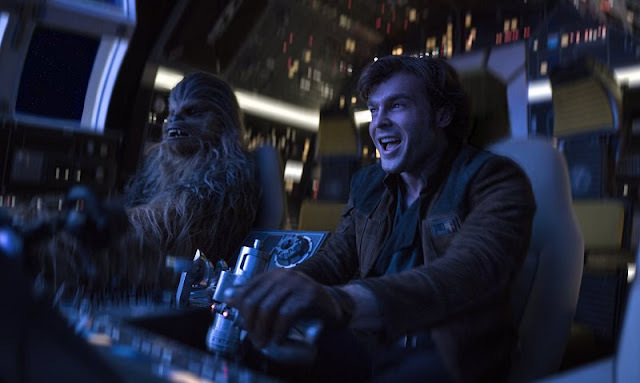 The train heist sequence and the chaos on Kessel are definitely two of the film's highlights and there's never really a dull moment anywhere in between. Aside from Ehrenreich's solid yet nondescript performance as everyone's famous galactic smuggler, we also get to see Woody Harrelson as a grizzled aging mentor type person, Emilia Clarke as a love interest who may or may not have her own hidden agenda, Paul Bettany as Vision trying to play a bad guy, and everyone's trendy favorite Donald Glover as the iconic and super suave gambler Lando Calrissian. 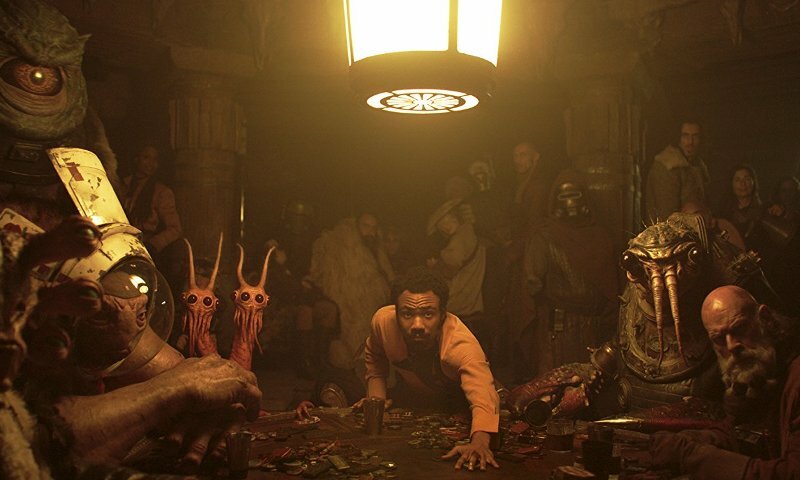 Individually, none of the characters really stood out to me, Glover was basically imitating Billy Dee Williams which was fine, but as a group they do what needs to be done. The Star Wars universe has never been known for award winning performances and this movie is more of the same. One of the areas that was a disappointment for me was the soundtrack. I get that they wanted to set this movie apart but it's a Star Wars movie so you have to have the iconic music. Sure, there was a couple brief insertions of the melodies and fanfares we know so well, but the vast majority of the soundtrack is nothing to write home about and doesn't do much to enhance the movie watching experience. It's just sort of there. That being said, it doesn't detract from the movie at all, I just missed the emotions evoked by the music that has become as ingrained in the cultural psyche as anything else about the franchise. 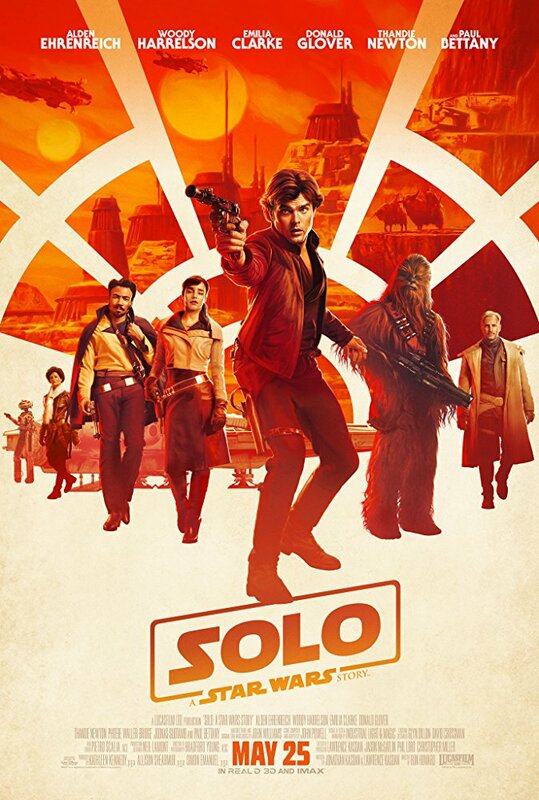 Solo: A Star Wars Story does exactly what it sets out to do with blockbuster thrills and science fiction adventures from start to finish. This is classic Star Wars fun and could be the beginning of a series of films based on this group of characters as they lead the way for the rebellion to find a new hope.